What is a day? How do you define it? Most, might define a day as 24 hours, but why? We experience daylight/daytime and darkness/nighttime, each and every day. Through our observations, we know that in a day in Michigan, we experience light during the day, and darkness at night, but what causes these changes? 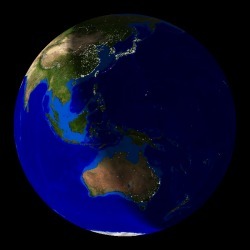 Do all places on Earth have the same amount of daytime and nighttime? This is what you/we must discover! What is a day? What is night? How long do we have daylight and night, each day? Do the hours of daylight each day change throughout the year? If so, why? Where does the Sun go when we cannot see it? What causes the Sun to disappear? Does it disappear or is it still there? Why can we not see the Sun for a whole day? *Reminder: Be sure to think about the perspective from which you are viewing from. Are you viewing from space? From a top view? Side view? From Earth? Be sure to think about this as you view each simulation.